The invention of cycling is a remarkable achievement. Along with walking, cycling epitomizes sustainable transportation. Human beings are designed to move under our own power. Walking is the most basic transportation. A bicycle is the most basic vehicle. By designing our cities and streets around the concept of serving walking and cycling well, we improve all types of human mobility. It is the long-term solution to our current transportation challenges. This song by Rush, Subdivisions, reminds me of the world I grew up in. It sometimes felt alien, partitioned, and anonymous spending so much time in automobiles. A new degree of culture is emerging that commands our respect for the inalienable freedoms of human movement. The culture that embraces an array of transportation opportunities dramatically improves our travel safety, and revs up our lives and economy. Multimodal transportation–serving all travel modes–is the new helm. This framework brings health, sustainability, and builds community. It’s a saner world, one where we are not incessantly rushing, but spending time doing things that truly bring us joy, and listening more to what our bodies have to tell us. An article in The Guardian today mentions “vehicles are now America’s biggest CO2 source”. It discusses reducing emissions and improving efficiency, but not increasing walking and cycling. It’s not an either/or proposition, it is about viewing walking and cycling as priorities, absolute necessities, basic public goods. Without serving those choices, we are left with a conundrum. We’ve learned structuring cities and streets around cars reduces choices. Walking and cycling make healthier, happier people, and better places. They’re good choices. Everyone yearns for health, happiness and freedom. Elevating the idea that streets are for people makes many transportation problems disappear, and creates a system that matches our human potential. We need to get more people experiencing cycling to open minds. It is a key technology for sustainable development. Cycling aligns with the beautiful necessity of our human nature. We are an animal designed to move with our legs. The bicycle unites that reality with an ingenious tool. Cycling is magical, like having wings or discovering new superpowers. It changes the way we experience and perceive the world. Cycling joins the power of wheeled locomotion with the sensitivities and keen pleasures of being human. By designing our streets to serve walking and cycling first, we’ll give rise to a new form of built-environment that connects us through our activities and makes our spirits soar higher. Once we obey the concept of designing cities for wellness, our culture can expand in new directions, giving our dreams real leg power. This entry was posted in Action, Bicycling and Environment, Bike Sense = Design & Education, civil rights, Climate Change and Active Transportation, design, digital humanities, Elements of Cycling, equal opportunity, initiatives, Mobility Culture, multimodal outlook, nature, New Mexico, perceptions of cycling, Socioecological Dimensions of Bicycling, sustainable development, traffic safety, transportation planning, urban and regional planning, Walking on January 1, 2018 by bikeyogiblog. One of the most beautiful experiences in any city is the street scene, with all kinds of people moving around. When we are missing that, we lose a certain sense of community. That’s why it is so essential to design our streets around a social operating concept. Streets can imbue human beings with a sense of dignity. They are one of our most interactive spaces. When UNM President Chaouki Abdallah first visited Albuquerque, he thought “it looked like a Third World Country”. Then he woke up the second day, saw the mountains, and thought “this could work”. As we reimagine our city, remember the environment we build is human habit, natural habitat, we live here. And our streetscapes are a product of our collective imagination. When people are walking and cycling about, shining in our streets, a sense of buoyancy abounds. It’s uplifting to all of us, our common humanity. Let’s encourage more of that with planning and designs. And make sure we integrate everything we need to live with conviviality, including all of nature. Our streets help us become native to place. We can feel at home here. Imagine living happily and healthily on safe and peaceful streets, for us, and for our children. This entry was posted in Action, civil rights, community news, equal opportunity, Greenways, healthy roads, humanities, Mobility Culture, Photography Natural and Built Environment, Public Participation, Uncategorized, Walking on September 16, 2017 by bikeyogiblog. Walking is the universal and essential means for human mobility. America Walks is an advocacy organization working to improve walking. They are accepting applications for Walking College 2016 to train community advocates. This is a winning strategy for implementing policies linking health and transportation together. Social change occurs through community networks at the local and grass roots levels. Walking College helps graduates to cross pollinate dialogue in public health, planning, transportation, and education, based on community needs, and reach across scales to achieve local, national and global coordination. Here are particular skills one may acquire at Walking College, according to their website. The curriculum has been designed to nurture the development of the “hard” and “soft” skills that are necessary to become effective change agents. This entry was posted in Action, civil rights, healthy roads, Southwest Cycling Times, sustainable development, traffic safety, Uncategorized, Walking on March 23, 2016 by bikeyogiblog. One of the more discouraging aspects of bicycling is the too-close pass. Unsafe passing is always physically scary but it can be especially tough mentally when it’s intentional. I saw this comment on Steve Tilford’s blog: “I don’t know how many times in my lifetime I’ve had people yell single file to me. Probably 1000’s.” For people to flourish on public roads, to make them healthier roads, we have to target threatening, intimidating and irresponsible behaviors. We are advancing civil rights in many social areas, why not transport? We all know that mobility is fundamental to American identity, we are a people on the move. This song reminds me of these bicycling times, “not the best of times but they’re the only times I’ve ever known”. The hardest part of the violence I’ve witnessed (first hand and through story) is the damage it does to people and communities. Perfectly healthy well adjusted people saying I’m not sure if it is worth it if I can’t stay safe out here cycling. Tilford has another post about the upsurge in gravel road riding, in part driven by the desire to avoid motorized traffic. I would say the majority of bicyclists prefer mountain biking simply because it feels safer. There are positive drivers for off road cycling–the beauty and solitude backcountry affords, the intimate contact with the textures of raw earth felt through your tires, the technical challenges–but much of it is driven by avoidance, people who just don’t want to deal with the chaotic behavior on roads. People want to support bicycling for all good reasons, begin by enforcing safety on the road. The best address I’ve read for this was produced by the American Psychological Association’s “Task Force on Reducing and Preventing Discrimination Against and Enhancing Benefits of Inclusion of People Whose Social Identities Are Marginalized in U.S. Society”. They did this report called Dual Pathways to a Better America that is really succinct and universal. The premise basically is that promoting diversity is the proper anecdote. The bicycling community is well aware that acculturation to bicycling–when it is naturalized and people become accustomed to it, and most people do it at one time or another–disarms that “otherness” and creates a normalcy, helping us connect as humans. “Discrimination, stereotyping and bias generate exclusion and marginalization for certain groups and wrap a blanket of inclusion, security and opportunity around others…Irrefutable psychological evidence supports the understanding that everyone is affected by systems of discrimination, and when these systems are challenged, the eventual acceptance of and support for social diversity is exponentially healthier for everyone” (APA report, introduction). The intolerable part about biases in transportation (including the conception of privilege) is that human life is in the balance. This FHWA document is insightful and thorough in its evaluation and disruption of the status quo, and recommends good changes. This is a call to action that takes responsibility and changes attitudes. The Vision Zero framework, one that approaches every traffic injury as preventable, is helpful moving forward. “Ethics: Human life and health are paramount and take priority” is principle number one. If we change our attitudes and make people the priority we win, and the world and the roads connecting it will be a better place, good times to come. Then the stories we write about the road, our hopes and dreams, will help to move us forward. This entry was posted in Action, bikes plus education, civil rights, Everest Challenge, healthy roads, perceptions of cycling, traffic safety, Uncategorized on March 18, 2016 by bikeyogiblog. The Southwest Bike Initiative’s bike org. of the month for October 2015 is US Military Endurance Sports. 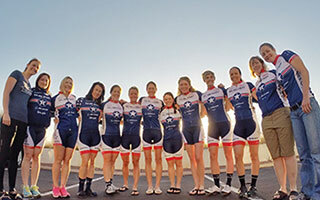 They’re a non-profit supporting endurance athletes, sports education and activities for current, retired, and veteran members of the United States Uniformed Services. I raced with one of their members during the Everest Challenge bicycling event in September 2014. It was inspiring to ride up those mountains with him. Their motto is Fit for Duty, Fit for Life. Endurance sports such as cycling are perfect avenues for training the mental and physical fitness one needs to perform in challenging situations. The kind of muscle suppleness and fluidity bicycling develops makes everything else flow more smoothly in life. I think endurance cycling especially helps with mental resilience and prepares the athlete in us to bounce back and recover. Most of all the teamwork in road cycling is a great platform to foster cooperation and unspoken bonds between people. In cycling we learn how to intuitively know how our teammates are doing, and we also learn to assess our selves and test our judgments in adverse conditions. It is difficult to say exactly what the most rewarding part of cycling is, but certainly being able to sacrifice myself during races for the betterment of my team, and to see my team achieve an objective, is something that has stayed with me and strengthened with time. I was privileged to recently hear a member of the Bernalillo County Sheriff’s department speak to a gathering of cyclists. He was deployed twice in the US Army and after four years of service, became a law enforcement officer. Then he joined the bike unit and performs much of his patrol on the bike. He said the most difficult part of bicycling safely is using the general travel lane when you need to, for instance to avoid debris, to elevate your visibility, and avoid right edge hazards such as cars pulling out from driveways, or cars turning right and left in front of you. It takes courage to ride a bike in a safe manner and I am grateful to be part of a very large, diverse and wholesome bunch of people that finds benefits in doing it. I’m ready for duty. This entry was posted in bike culture, Bike Org of the Month, civil rights, community news, Elements of Cycling, Everyday Rides, exploring by bike, Recovery on October 29, 2015 by bikeyogiblog. The article the leading quote is from reminded me of a main barrier for promoting bicycling. The State Traffic Engineer is quoted as indicating bicyclists should ride on the right edge of a narrow rural lane road. The engineer’s guidance is opposite of what we know to be safe. The League of American Bicyclists smart cycling guide advises “when a lane is too narrow to share safely, ride in the middle of the lane”. What can we do about this discrepancy? We begin with taking responsibility for making bicycling safety common knowledge. Part of this process is releasing any prejudices that prevent us from acting on right knowledge even when we know it to be true. Often times when people say conditions are unsafe for bicycling or walking, the unspoken part is that it is unsafe because of the way people are driving. If we are driving and our braking distance exceeds the sight distance, we are driving too fast for conditions. Driving too fast for conditions is a behavior that makes roads unsafe for all users. BikeWalk NC concludes that developing a culture of safer speeds involves shifting the focus away from blaming vulnerable people using the road to raising the expectations for drivers. This mindset for universal road safety is essential for those in leadership positions. We can not afford for State Engineers to be aloof on safety. When I first started talking to people about bike safety, I was shocked with how many people either had the wrong idea or denied the safety of bicyclists. I spoke to a county supervisor and a board member of a bicycling advocacy organization that expressed the exact sentiment as this State Engineer. Rather than blaming, we can simply begin by cultivating appropriate attitudes based on responsibility and safety. Individuals changing can inspire confidence. We have to change the way we think about driving cars by envisioning driving in a way that is compatible with bicycling, walking, and safety for all. BikeWalkNC is a cutting edge advocacy group. I’m really impressed by the way they are leading the way through persistent challenges by fostering clear and constructive dialogue. Thank you! This entry was posted in civil rights, education, Elements of Cycling, healthy roads, multimodal outlook, public policy, science and quantitative analysis, sustainable development on October 27, 2015 by bikeyogiblog. Every effort to promote bicycling hinges on a clear understanding of how bicycling works in the context of the overall transportation ecosystem. The guiding principle for bicycling is commonly referred to as vehicular cycling. A more modern term is bicycle driving. It is the basis for safe coexistence with traffic and conforming to the rules of the road. If you’ve ever operated your bicycle on an ordinary residential street, going with traffic, then you’re already doing it. Bicycle driving is what is taught in the Safe Routes To Schools curriculum, and every other bicycling education program. Complete Streets is the design aspect for bringing bicycling into the mainstream by designing streets for bikes. The educational component is bicycle driving, and it instills confidence for people to be fully empowered to use bicycles to travel anywhere. The Bike League’s curriculum and all bicycling education programs are designed “to create a mindset that bikes are treated as a vehicle” (from becoming an instructor). This mindset instills a sense of proportional responsibility and is the basis of appropriate relationships for bicyclists to all kinds of traffic and traffic control devices. This mindset shared by all sets the tone for great streets and trails. On the multiuse trail this principle guides bicycles to yield to pedestrians and equestrians, gauging travel speeds accordingly. On the road the bicycle driving principle means the most predicable, safe, and visible way to move is with the vehicular traffic flow. Even when there is physical separation between motorized traffic and bicycle traffic, such as with a protected bike lane, the motions of the two traffic streams must always be coordinated and mutually aware. This is especially true at intersections, driveways, and parking zones when traffic mixes and the cooperative environment depends on predictable movements, communication, awareness, negotiation, and common rules to which all traffic adheres. Complete Streets policies support design environments that welcome bicycle traffic and lower traffic stress so that people have a better chance to positively orient to the road with whichever mode they choose. A Complete Street is as an inclusive place and built on the underlying structure of relationships between varying types of traffic. Traffic skills education is a complimentary factor that facilitates pleasant travel by fostering order and raising awareness. Design and education work in tandem to promote good bicycling. Most people have some reservations about bicycling because they are not clear how bikes fit in. Forward looking solutions include education for drivers to respect all kinds of traffic, and treating bicycles as an equal vehicle, welcoming diversity. 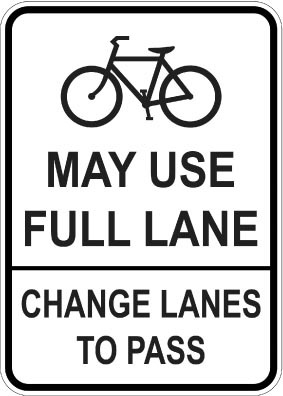 Most bicycle traffic occurs on roads without a designated bicycle facility such as a bicycle lane. A regular travel lane needs to be at least 14 feet wide for it to be safely shared side by side by a car and a bicycle. Seeing bicycle traffic using a general travel lane may look different than what we are used to. I trust we are acclimating to bicycles as a normal component of traffic and civic life in the mainstream, just like we are welcoming diverse religions, cultures, and lifestyles. Change takes a new attitude, an open mind, and in the case of roads, traffic calming and the conception of an inclusive space. Bicycles are good for the transportation ecosystem. As we design and educate better for bicycles, include bicycle traffic in our engineering metrics and traffic flow analysis, and we learn more about what bicycling can do for us and we do it more, things are going to get a lot easier, safer and more attractive. The quicker we can make these changes, the sooner we can move ahead. In the Southwest, Utah and Colorado are already in the bike friendly top ten. For understanding bicycling, I’ve benefited from the generosity of the creator of azbikelaw.org. For the last two years, Ed has suggested reading related to bicycle law, roadway design, engineering, and traffic behavior. He has a “do it yourself” entrepreneurial attitude and continues his education, applying critical thinking and analytical skills to practical experience to spur progress. Ed responds cordially to questions, and links people to resources. Always there to foster more informed dialogue. Some of the lessons were tough, like the lessons from a cyclist who was killed by a hit from behind on a charity ride in Cornville. Ed’s analysis and documentation is brave and courageous, like the novelist Cormac McCarthy’s willingness to tell the story of violence in Western culture and its continuum past to present. AZ Bike Law is my August 2015 Bike Org of the Month. Thanks for your diligence and enthusiasm Ed. Please be kind to persons bicycling, walking, rolling, driving autos and commercial vehicles. Drive with care and caution. Forgiveness and understanding. We are all learning. Gracias! 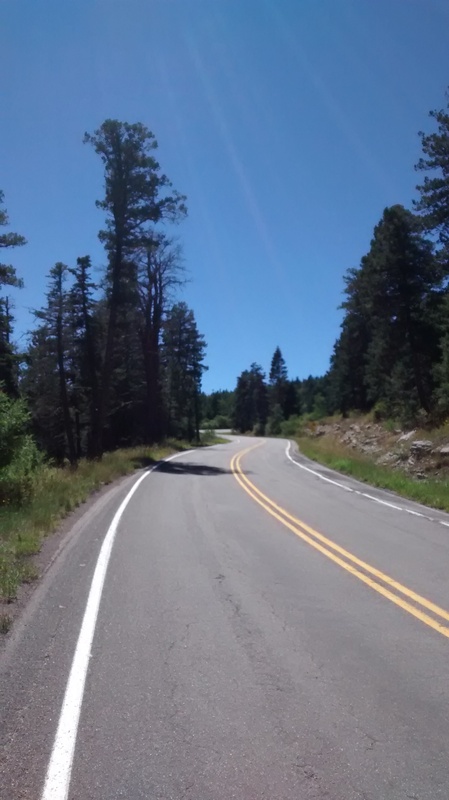 This entry was posted in bike culture, Bike Org of the Month, Bike Sense = Design & Education, bikes plus education, biking Arizona, biking New Mexico, civil rights, education, Everest Challenge, healthy roads, Uncategorized on September 29, 2015 by bikeyogiblog.